The first snow in our parts (not counting that freaky October blast) was yesterday. I love snow — to run in and to eat. Partly it’s my fur coat, but my paws do their part, too. 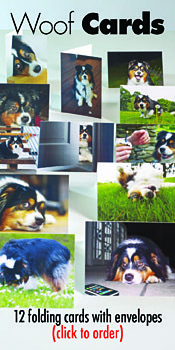 Japanese scientists recently reported in Veterinary Dermatology, that the veins and arteries in dogs’ paws and legs create a “counter-current heat exchanger” that warms the blood when the footpad is exposed to the cold before sending it back through the body. According to Time magazine, penguins, arctic foxes and dolphins have a counter-current heat exchanger, too. 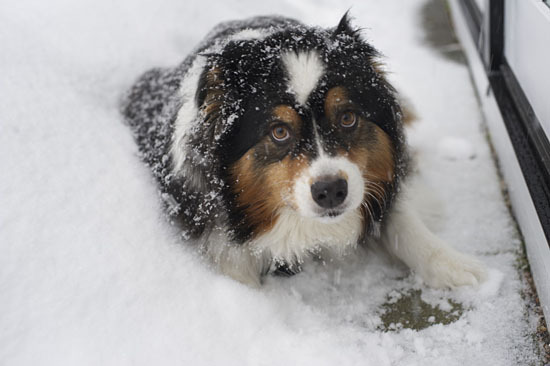 http://newsfeed.time.com/2012/01/17/dogs-have-built-in-snow-boots-researchers-find/#ixzz1jo57wWze Hot stuff!